Democracy Prep at the Stewart Campus – Work Hard. Go to College. Change the World. 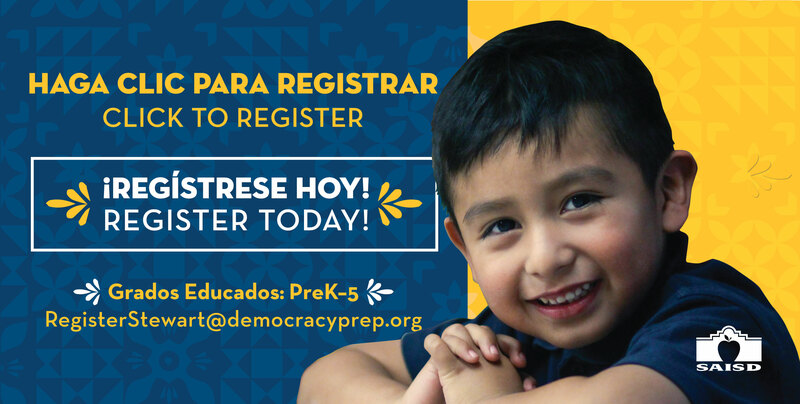 The Democracy Prep Texas board of trustees meeting will be held on Thursday, April 18, 2019. The Board will convene the meeting in Open Session at 6:00pm-7:00pm. The Board will meet at 1950 Rigsby Ave, San Antonio, TX. DPT Board.. The Democracy Prep Texas board of trustees meeting will be held on Thursday, March 21, 2019. The Board will convene the meeting in Open Session at 6:00pm-7:00pm. The Board will meet at 1950 Rigsby Ave, San Antonio, TX. DPT Board.. The Democracy Prep Texas board of trustees meeting will be held on Wednesday, February 27, 2019. The Board will convene the meeting in Open Session at 6:00pm-7:00pm. The Board will meet at 1950 Rigsby Ave, San Antonio, TX. DPT Board..